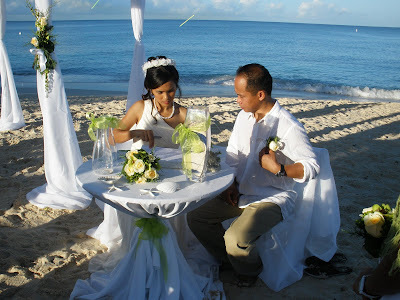 This Filipino couple living and working in Grand Cayman planned their wedding for Christmas Eve, when they could take advantage of the 4 day weekend for their honeymoon. 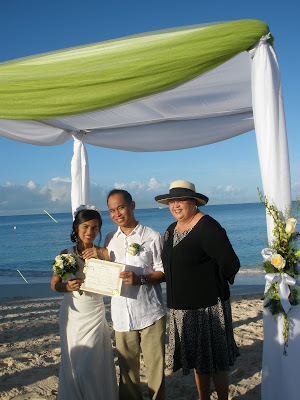 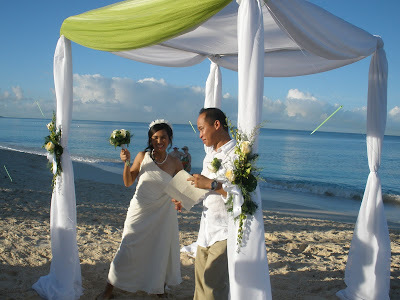 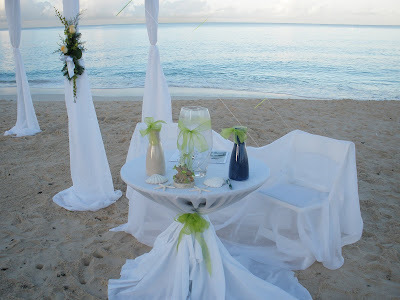 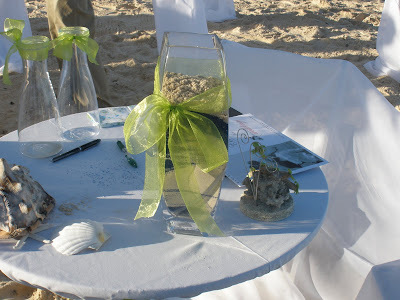 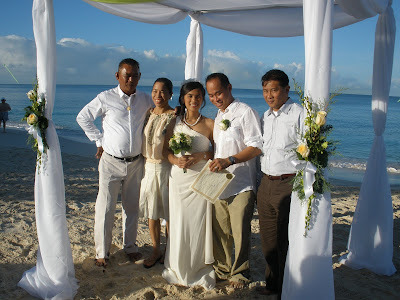 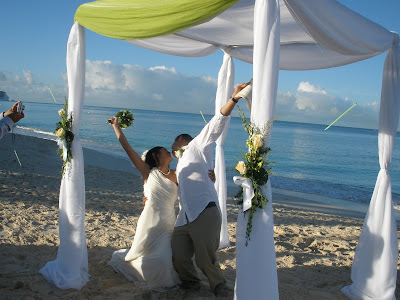 The wedding took place on Seven Mile Beach very early on 24th December, one of the busiest days of the year. 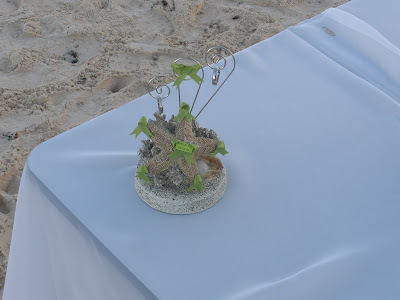 Because it was so early, the beach was virtually deserted.